We often turn to famous leaders for nuggets of brilliance on how to motivate people or how to achieve success like theirs. Often they will give us advice reaped from years of experience and trial-and-error, but sometimes they will pass along the wise words of a parent or mentor that was delivered at just the right time and hugely impacted them and their career. Here is the advice that shaped some of the country’s best-known leaders in many different walks of life. The former First Lady gave the ex-prez this bit of wisdom that he uses to remind himself not to close himself off from valid criticism. These were the words the first female Secretary of State received as a child from her father, a Czechoslovakian immigrant. She took it to mean, believe in yourself and go for it. As the president’s top advisor, Axelrod is a key player in the country’s leadership. He learned from former presidential candidate Gary Hart that Washington is “the last place to get the news” and to ignore what the popular opinion there says. This was an old general’s advice to a young officer wanting to rise in the ranks, which Powell always remembered. He said becoming a general starts with becoming a first lieutenant by working hard, never showing fatigue, and never showing fear. Nobel Prize-winning Holocaust survivor Elie Wiesel’s words to the 43rd president deeply affected his decision to intervene in Iraq, one of the defining acts of his political career. 6. Jimmy Carter: “Always do your best.”:An intimidating navy admiral got the future POTUS to admit he had not done his best in college despite graduating 59th out of 820 students. He always remembered the lesson. In the 1980s, a superior officer suggested Petraeus try something different intellectually, so he got a Ph.D. in international relations. The experience helped him become the top military officer in Afghanistan and director of the CIA. Instead of worrying about the future, this New Jersey governor learned from his mother to focus on the here and now and let the future sort itself out. This sound advice from his father must have certainly been useful to one of the most controversial U.S. Treasury secretaries in American history. No stranger to public office, George Romney wisely informed his son that being a politician does not pay. Luckily that is not a problem for Mitt. At the age of 12, this future Senator followed his older brother John to the White House, the Supreme Court building, and the Senate. His hope of instilling a lifelong interest in government in the young Ted worked. When he was Speaker of the House, Gingrich got some advice from none other than Joe Paterno on leading. He told him to first have the game plan straight in his own head, then get it straight with your support staff, then deliver it to the rest of the team. As the captain of the last two world championship U.S. men’s gymnastics teams and leader of the Olympic squad, Horton relies on the advice his coach gave him to always be consistent in the way he trains and performs. Michael Jordan knew of which he spoke when he told the longtime leader of the L.A. Lakers to just play his game and let everyone else adjust to him. This was the famed Duke basketball coach’s mother’s way of telling him to surround himself with quality people and only follow someone who will take him somewhere great. The quarterback and leader of the Super Bowl-winning New Orleans Saints says everyone who reaches success will be told they’re not good enough at some point, and those voices have to be ignored. Air Jordan also had some words for a giant young player out of LSU. He told the future all-star that experience is the best teacher, which is why Shaq declines to give advice to today’s young players. Instead of talking about winning all the time, this legendary college basketball coach focused his players on simply giving their all and letting the results work themselves out. The world’s leading golfer and highest-paid athlete in the world for years, Woods harkens back to his father’s words to “just pick a spot and hit it,” rather than making things complicated. The successful Indianapolis Colts coach was another leader who was told to be himself. His first boss said to him, “Don’t try to imitate me; be who you are. According to the college and NFL coach, the best advice his dad ever gave him was ask for help when you need it, but if you can do it yourself, you should. This women’s basketball Hall of Fame coach might never have had a career in sports if not for her father’s advice to fight for her place on a high school cheerleading squad, despite her skin color. The 11-time championship winning coach grew up seeing a plaque with these words on it in the office of his father, a preacher, who strongly influenced Phil’s coaching style and personality. 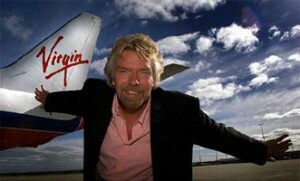 The elder Mrs. Branson told the future head of Virgin not to dwell on failures, but to just move on to the next thing. The Costco co-founder and CEO learned from one his early bosses that the best way of encouraging employees to have pride in their work and the business is not to tell them out loud but to show them his conviction with his own actions. This millionaire homemaking mogul learned from the example her third-grade teacher set. The woman’s creativity and wit inspired Stewart to be a good teacher, teaching something she loves to do. She’s more than just a leading model; Banks also acts as CEO for her company, Bankable Enterprises. She learned from her mother that every project comes to an end and to always have a plan in mind for the next opportunity. This was the last bit of advice the founder of CNN and Time Warner vice chairman received from his father. Ed Turner said he had set his sights too low and did not want his son to do the same. A board member told the Google CEO he needed a coach. Although initially skeptical, he found a coach is a great way to see himself as others see him and he now recommends everyone has one. The fund manager of PIMCO’s $252 billion Total Return Fund claims the words of financier Bernard Baruch, who said there will never be a way to get something for nothing. The president and COO of Traveler’s Insurance was told in college to try to get straight A’s so that even if he doesn’t, he will have done his best. Chambers’ has applied his father’s wisdom to look ahead 10 or 15 years to try to identify trends to his leadership of Cisco Systems, helping it be a market leader in technology. “The Donald” is used to handing out advice, but it was his father who gave him this suggestion. He also told young Trump to know everything about what he’s doing in business. PepsiCo CEO Indra Nooyi says today we have far more opportunities than previous generations had and that if you do the best job you can, those opportunities will present themselves. The Xerox CEO’s mother told her as a girl that she should define her success not by how much money she makes but by the extent she makes the world a better place. In his early days on the board of directors at General Electric, Welch decided to keep quiet instead of voicing his opinion. The chairman Paul Austin quickly told him not to change who he is. When trying to decide if he should return to Apple as CEO, Jobs called his friend Robert Noyce, he told him in no uncertain terms he personally did not give a rip about Apple. The “advice” was unconventional, but it made Jobs realize he did care about the company. Along the way to her rise to CEO of eBay, Whitman was told by a boss that you get ahead faster not by always claiming credit but by constantly being in the vicinity of good work. The founder and chairman of Starbucks gleaned this wisdom from leadership guru Warren Bennis of USC. He learned to recognize skills in others to help him build a high-quality company. Billionaire philanthropist and hedge fund manager Soros once met an anti-Communist dissident who told him he had spent his entire life fighting losing battles, which Soros believes sums up philanthropic work perfectly. This bit of advice was from one billionaire to another. Warren Buffett taught the Microsoft magnate to break things down and focus on the things that really count. Netflix founder and CEO Hastings has steered his company based on Jim Collins’ idea that having an effective strategy means making difficult decisions to not do things, rather than have a giant “to-do” list. The iconic fitness guru and self-help author was a silly and funny child whose parents encouraged him to always dream big and follow his dreams. Who else would Dr. Phil cite as his most impactful source of advice other than Oprah? She told him not to let anyone change him or homogenize him, and he appears to have taken that advice. Millions follow her lead when it comes to finances, but Suze Orman says the best career advice she’s ever received involved conducting oneself with class and character. He shepherds the souls of people all over the country from his Saddleback Church. One of Warren’s best pieces of advice was to know the difference between doing things right and doing the right thing. Ruth Graham often gave her husband, the famous evangelist Billy Graham, advice on what to do. These words kept him out of the political game and firmly in the realm of spiritual matters. The mother of this leading authority on chimpanzees told her not to listen to those who said she’d never be able to go to Africa to live with wild animals. Work hard and make use of your opportunities, she said, and never, ever give up. The world’s “most notorious atheist” came to change his opinion about the existence of God by following this centuries-old advice of Socrates.